The hopes and dreams of 36 students and their families, friends, and supporters culminated May 17, 2013, at UCF’s first College of Medicine commencement ceremony. It was the climax of an exciting dream to create a national model for medical education right here in Orlando. 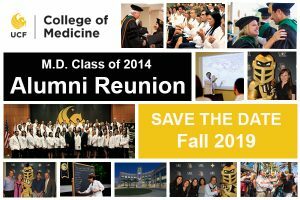 In 2018, the UCF College of Medicine hosted the first five-year reunion for the Charter Class of 2013. We are currently planning the five-year reunion for the Class of 2015 that is planned for Fall 2019. If you are interested in being a class agent or in helping to plan this special event, please contact Erin Oglethorpe for more information. In the fall of 2019, we will celebrate the five year anniversary of our M.D. Class of 2014 graduating from medical school! If you are interested in helping to plan this reunion, please contact Erin Oglethorpe or call 407.266.1041. 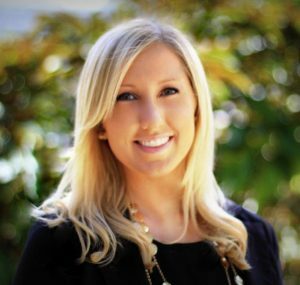 Thank you to our Charter Class alumni who participated in and helped to make the Inaugural M.D. Alumni Reunion a success! We look forward to our next reunion in the fall of 2019.